New Ross in County Wexford. 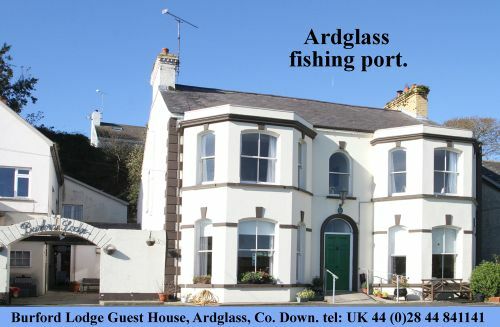 Still linked to Newcastle, County Down. ALLIANCE Party Newcastle Councillor Patrick Clarke is urging Down District Council to re-establish twinning links with New Ross Town Council which go back to the 1980’s. Councillor Clarke has now written to the Chief Executive and the Senior Tourism Manager of Down District Council requesting that the twinning links be rejuvenated to promote tourism and cross-border contact and he has asked Down District Council to provide financial funding and support. Following a public meeting which took place in Newcastle Centre on Wednesday 6 February to revitalize Newcastle and District Twinning Association which was originally formed back in 1985, it was agreed that Newcastle could benefit from continuing twinning links with New Ross by holding various events between each town and spearheading links. 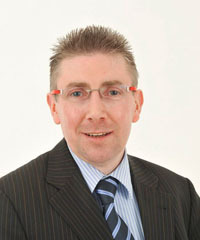 Newcastle Alliance Councillor Patrick Clarke. Councillor Patrick Clarke who has been assisting Newcastle and District Twinning Association said: “New Ross, Co. Wexford is located on the River Barrow in the South East of Ireland and is home to a population of approximately 7,000, quite similar to Newcastle. 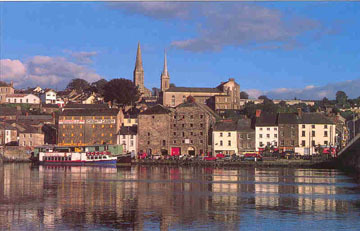 New Ross is also believed to be the ancestral home of US President John F. Kennedy and has twinning links with Hartford Connecticut in America, Moncoutant Deux-Sèvres in France, and Newcastle, County Down. Councillor Clarke added that it was widely felt that Down District Council still had an important leading role to play particularly in the twinning links that were originally setup with New Ross Town Council in Co. Wexford going back to the 1980’s. He said: “Some of the original members of Newcastle and District Twinning Association outlined that until only a few years ago there was a formal agreement between both Down District Council and New Ross Town Council with an annual event/exchange being held annually. But for some reason over recent years Down District Council had not continued formal twining links with New Ross Town Council. “Those present clearly felt that irrespective of the future plans of Newcastle and District Twinning Association and groups from both Newcastle and New Ross that the formal twinning agreement should not allowed to be neglected by Down District Council. “There was some discussion in coordinating an event into the programme of summer events in the 2013 Festival of Flight celebrations in Newcastle this August so I am also hoping that the Council can support this proposal which would help Newcastle Twinning get re-established this summer. “It was clear to see from the meeting in Newcastle centre that there was a genuine willingness to continue and keep the twining links between these towns and the Councils. There are still twinning street signs between Newcastle and New Ross erected in Newcastle so I am hopping Council will seize this opportunity and assist.